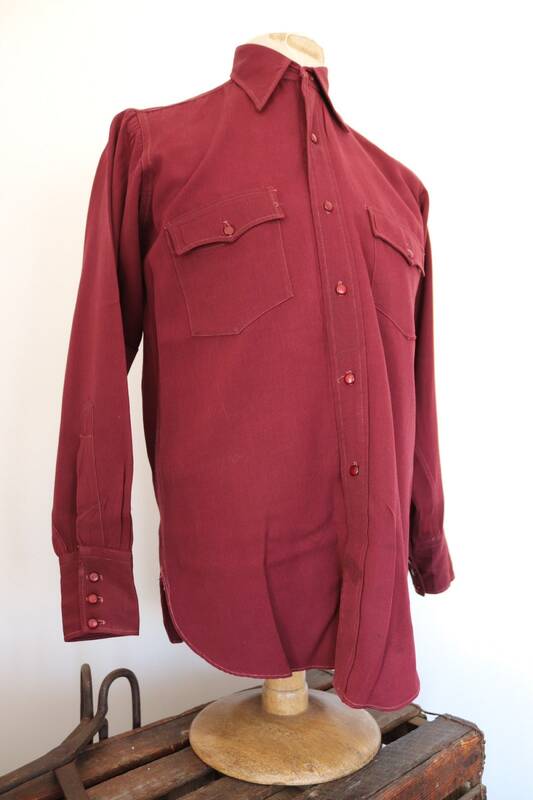 Apologies for the dark photos - building work in progress! 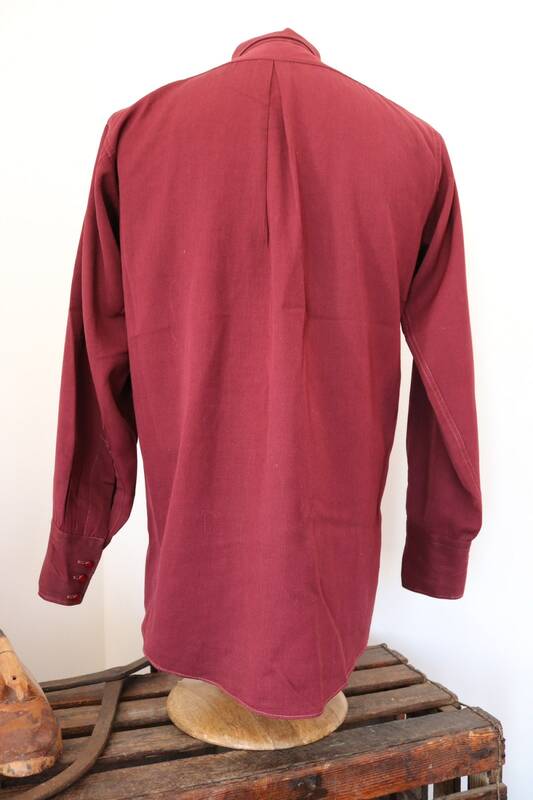 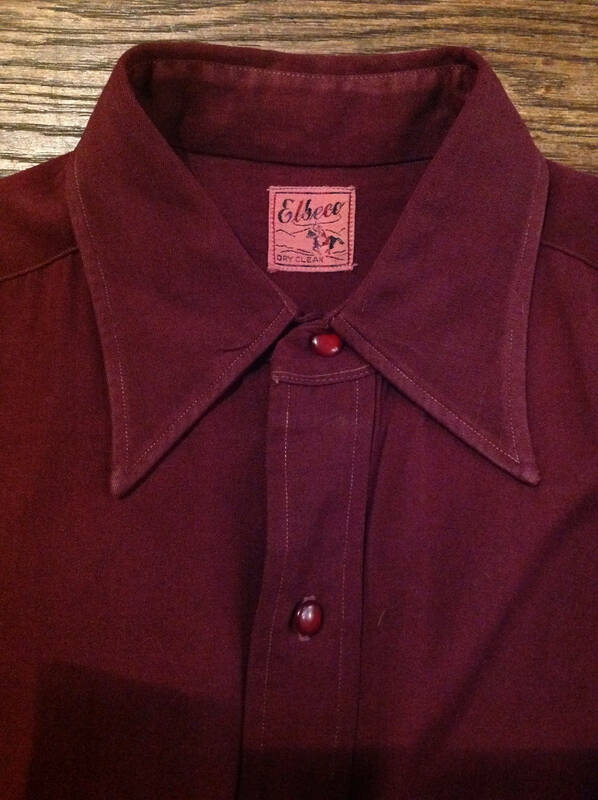 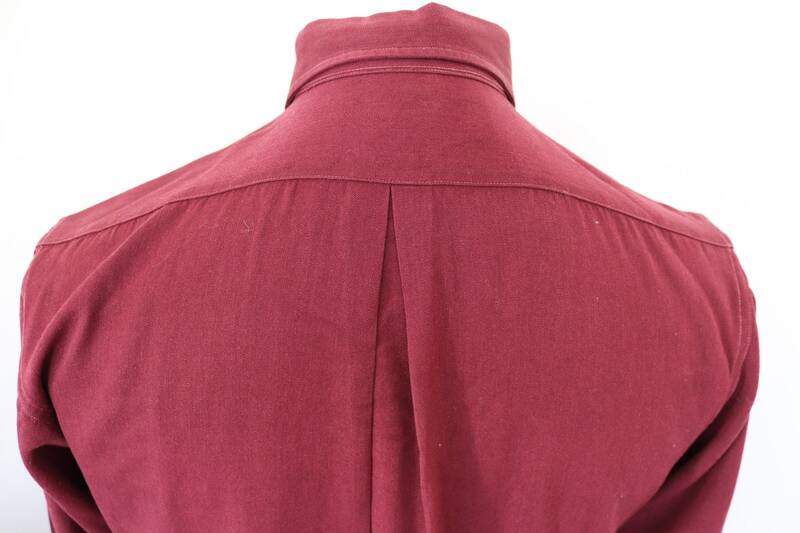 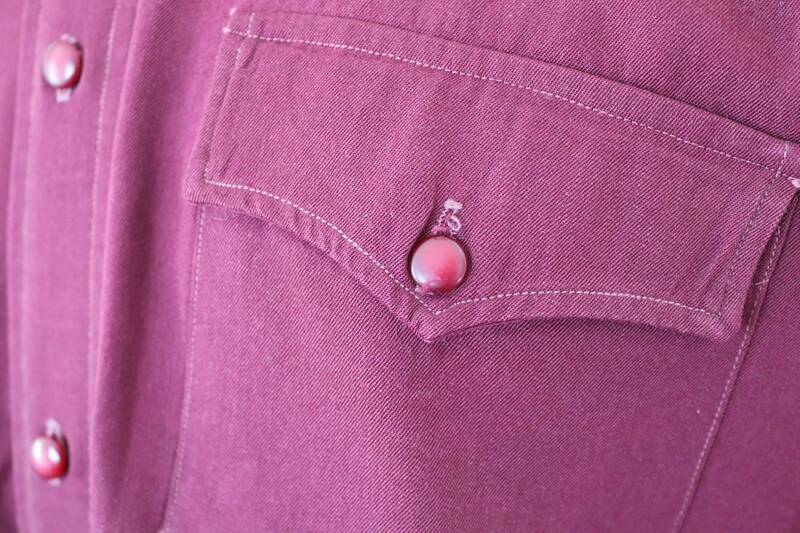 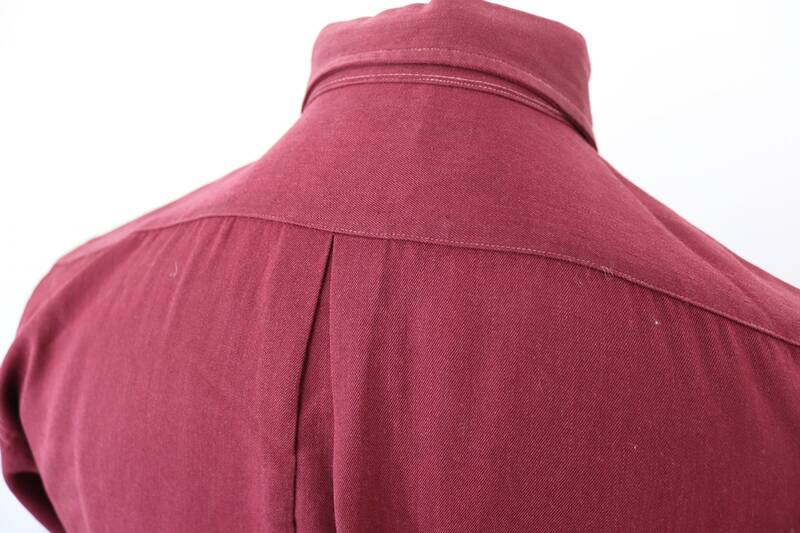 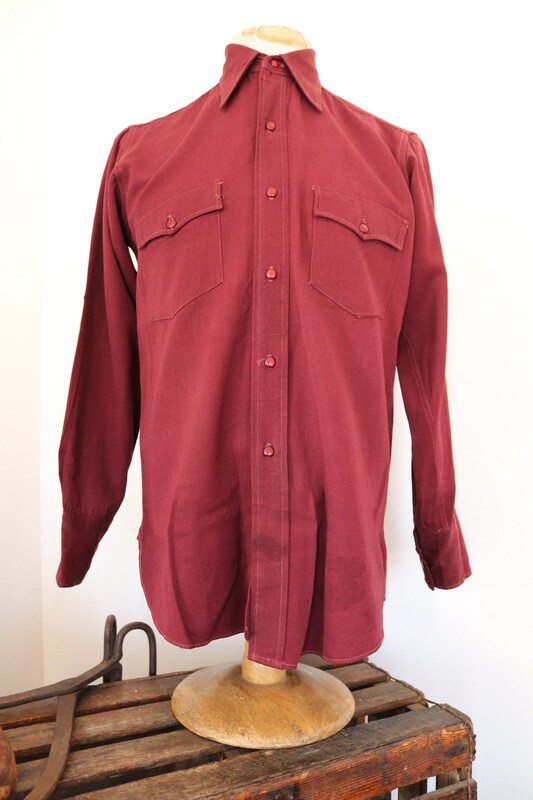 A burgundy wool gabardine western shirt by classic US brand, Elbeco. 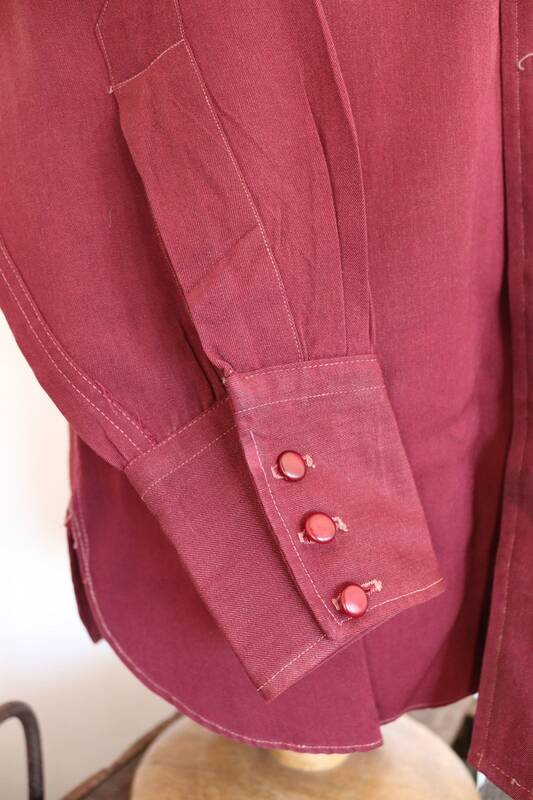 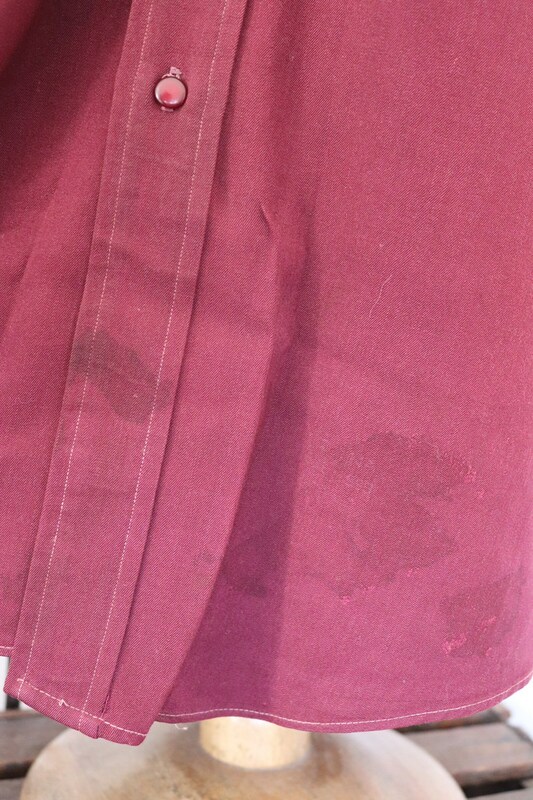 Noted flaws - some dark marks on the front left tail (I've not tried to launder it, so they might come out), some of the cuff buttons, although still attached, are starting to come loose - please see photos. 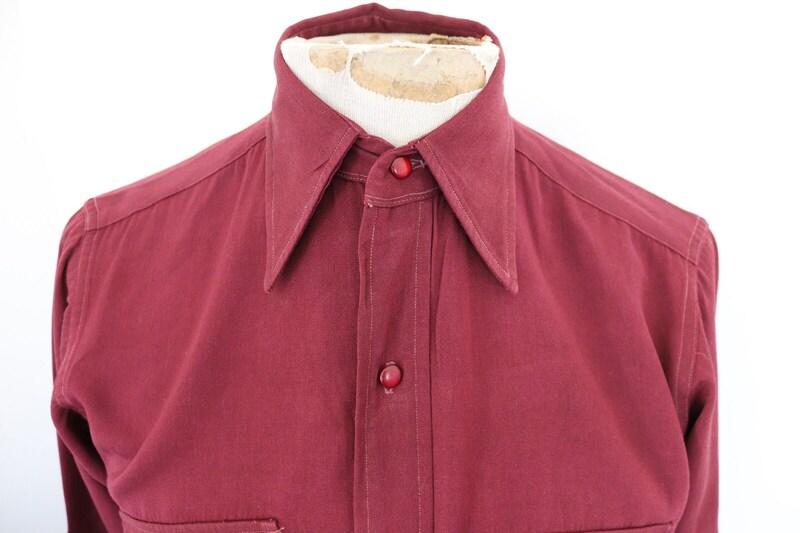 Full set of original early plastic/Bakelite buttons, all seams are solid, centre pleated back, side gussets, single needle tailoring, actual colour is most like the second photo.